There have been a flurry of offseason moves so far, with big-name players and high draft picks changing places. T-Wolves Gaming shook up the entry draft with a big trade. Pacers Gaming acquired an MVP candidate. Blazer5 made a contender-type move. Mavs Gaming is, uh, retooling. Yeah, Dimez is a winner of the offseason despite Mavs GG trading a star big man to Wizards DG. Dimez is a winner of the offseason because this is his team now, period. It was his team, but now it’s even more his team because he’ll have two first-round picks with which to work. No team has a higher concentration of draft picks (the Mavs have #5, #14, #26). Don’t think Dimez won’t play a huge role in selecting the team’s five picks and their coach (more on that soon). 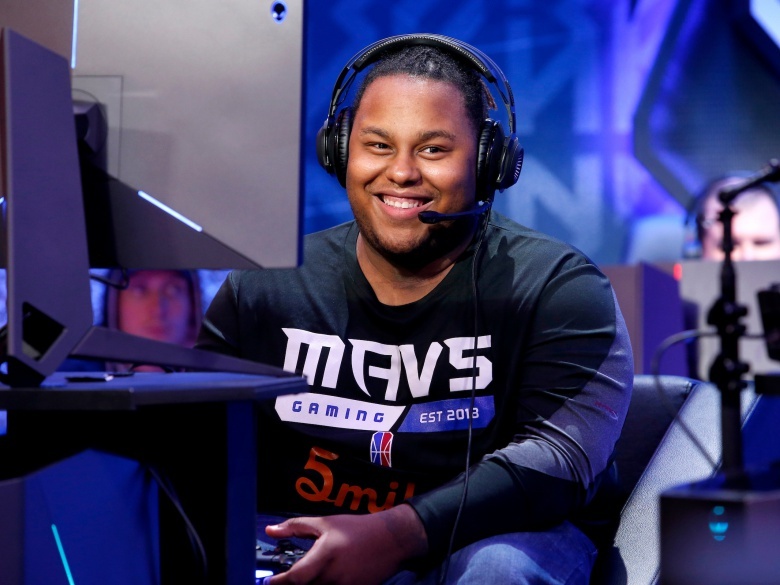 The league should and will capitalize on the storyline of former #1 pick Dimez being back for blood in season 2 after missing the playoffs in the first year. But don’t forget that GM Dimez better be as good a player as Player Dimez can be; neither will have the talent of Dayfri to play with. Flip side of a trade. Swizurk was one of very few shooting guards protected, and the Pacers were a better team than their final record suggested. Pacers Gaming went out and traded for MVP candidate LetsGetItRamo. Ramo is, uh, pretty good. He’ll fit into the Pacers’ lineup perfectly, a lineup that comprises Ramo, Wolf, and Swizurk, and might have TuckerLocksUp back at the cost of only a third-round pick (due to the Nets’ selection of Shockey in the entry draft). Swizurk has the advantage of playing on Pro-Am team NoSmoke with Wolf, who has looked like an absolute monster on NBA 2K19, and the team, sponsored by Pacers Gaming strategy partner NBA2KLab, is the perfect one to prepare Swizurk and Wolf for season 2. Did I mention they traded for MVP nominee Ramo? One of two sixth-round picks to earn a protection, energetic BigMeek is in a pretty good place right now. The Bucks have an impressive assortment of picks (#6, #17, #27) and the sort of forced positional flexibility that makes BigMeek a must-keep. Don’t be shocked to see the Bucks go point guard/big man in the first round, adding two first-round picks to the team (draft well, please!). That won’t stunt Meek’s playing time. The Bucks dealt King_Peroxide, a nominal power forward whose minutes Meek might easily slide into with the above first-round additions. Meek is still in Milwaukee, a team that has plenty of room for upward improvement. He’s protected in the league. His team made trades that’ll increase both his playing time and his winning percentage. That’s a pretty solid offseason. BSmoove wasn’t a lock to be protected by WGS until the protections were finalized, so he’s already coming out ahead. Beyond that, the Warriors earned the second overall pick in the entry draft, and acquired the tenth overall pick in a retain-and-swap trade that sent Vert to Lakers Gaming. The Warriors similarly figure to go 1 & 5 with their first-round picks, so BSmoove won’t immediately find his job in jeopardy. The Warriors really like his game, and he’s a capable enough secondary scorer to fit in well with whomever the team drafts. One subtler point on that front: WGS hired WR-league draft analysts, who’ll likely be more familiar with the players that BSmoove plays with most often on PS4. The Jazz haven’t made any huge moves despite being rumoured to be in pursuit of Ramo and Game6Drake, among others, and that sits just fine with Deedz. Many expected the team to retain MrSlaughter, but Utah stuck with franchise-player Compete’s preferred complementary piece. The Jazz also happen to have won the entry draft lottery, and as such will select first overall. There’s a little uncertainly in the front office, which means that Compete will undertake a larger role in the draft process. Deedz is in a supportive organization that has a chance to add the best available player among the many talented players who will qualify for the draft.